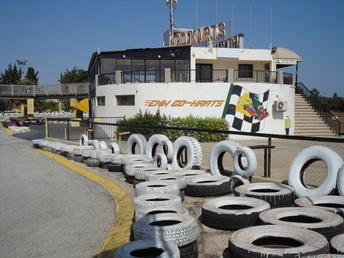 Ayia Napa has 3 go kart tracks all of a different standard and size. There is something to suit all ages from younger visitors to adults. EMW provides a professional circuit to race on, friendly staff, good facilities and is located next to Waterworld Waterpark on the Ayia Thekla Road. 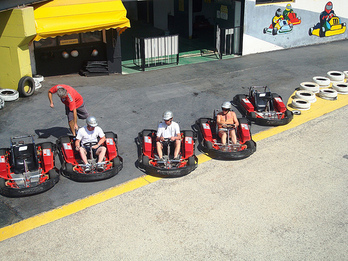 They have a selection of top quality Go-Karts for beginners and experts . Located at Macronissos Beach area on Ayia Thekla Road, next to Waterworld Waterpark. 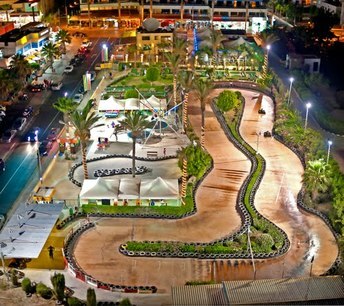 Parko Palisto has a go kart track suitable for adults and older children. It is part of the fun fair complex along with many other attractions and is located on Nissi Avenue. It is open during the summer months. Located opposite Mcdonalds, behind Seasons cafe on Nissi Avenue, these mini karts are ideal for younger visitors. They are open during the summer months. Tickets available on site.